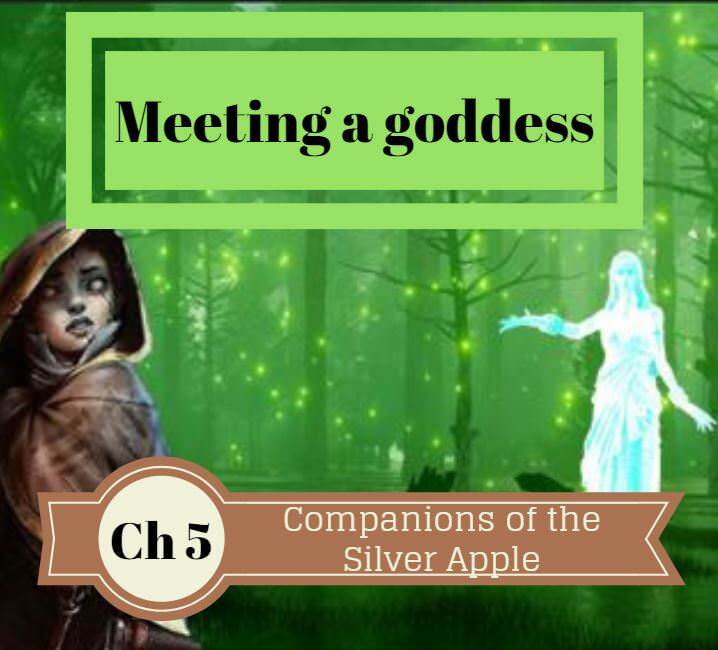 Previously in the Companions of the Silver Apple! While escorting a wagon of supplies toward the town of Phandalin they are ambushed by a pack of goblins. 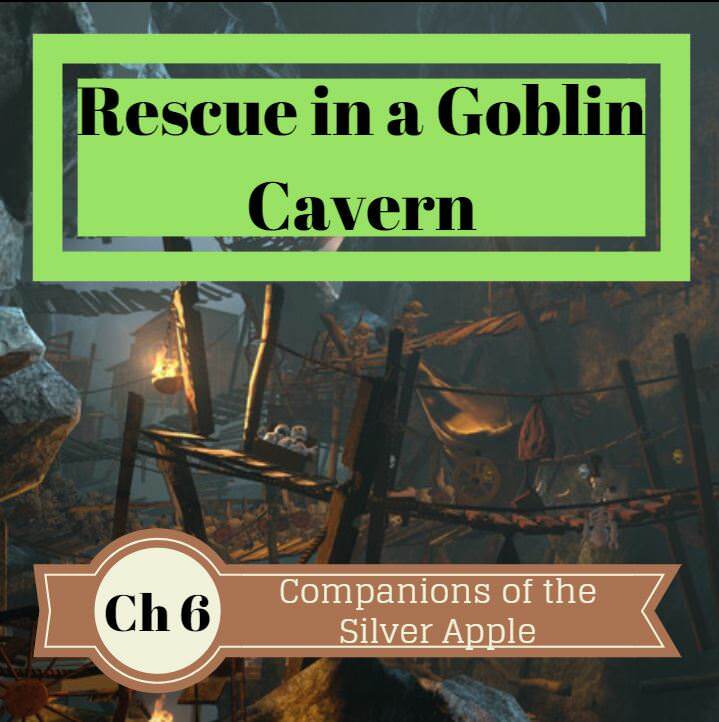 There are signs that the goblins also attacked and kidnapped Gundren Rockseeker and now the party has come to a goblin cave where they hope to rescue the Dwarf. The Companions currently Include L'lyssa the Halfing Thief, Anorak the Elf Wizard, Percy the Human Fighter, Kalisia a mysterious bard, and Kat a human fighter with adeptness in archery. They are about to be put to the ultimate battle for their lives. They are now Level 2 and will face a great challenge when nothing goes to plan. The companions are not in good shape after barely penetrating into the cave they were sniped at by hidden Goblin archers and then rushed by a pack of snarling wolves. They have decided to rest up and regain their health. While the group rested L'lyssa was visited by the goddess Mystra. The group had impersonated the goddess (See Ch 2) which had given the goddess more followers. While Mystra seemed to be pleased with the new followers, she had been equally angered that L'lyssa had been arrogant enough to impersonate her. Mytra then had rewarded L'lyssa with both a great power and a curse, touching her face and marking her. L'lyssa now has gained the ability to caste spells for every finger lit up, however for each of these favors used a finger is lost. When all the fingers are gone L'lyssa will begin to wither away. The party began chewing on what all this meant but eventually decided to reenter the cave. While the group had initially bungled into the cave and been ambushed and beaten back, this time they went in like special forces. They very carefully snuck ahead and carefully peering around each corner. L'lyssa snuck ahead and spotted a goblin on a overhead bride ahead. She fire an arrow like a sniper (rolled an 18). The arrow took the goblin sentry unawares hitting him square in the eye and dropped him. She then spotted a crevasse upward and could hear some goblins talking. She could hear them talking about a "Human knight." Anorak casts sleep on a group of Goblins. The group was pretty smart at how they handled a hostage situation. Anorak then snuck up the crevase and peaked around to caste Sleep. He managed to put almost all of the goblins to sleep. Percy, Kalisia and Kat then sprung out and managed to slay the remaining awake goblin before he could get close to the human hostage. The group then slew the sleeping goblins one by one, until they were confident they were safe. They then freed the hostage. He was elder knight, slightly wounded. "Who are you?" the former hostage asked with an air of authority. 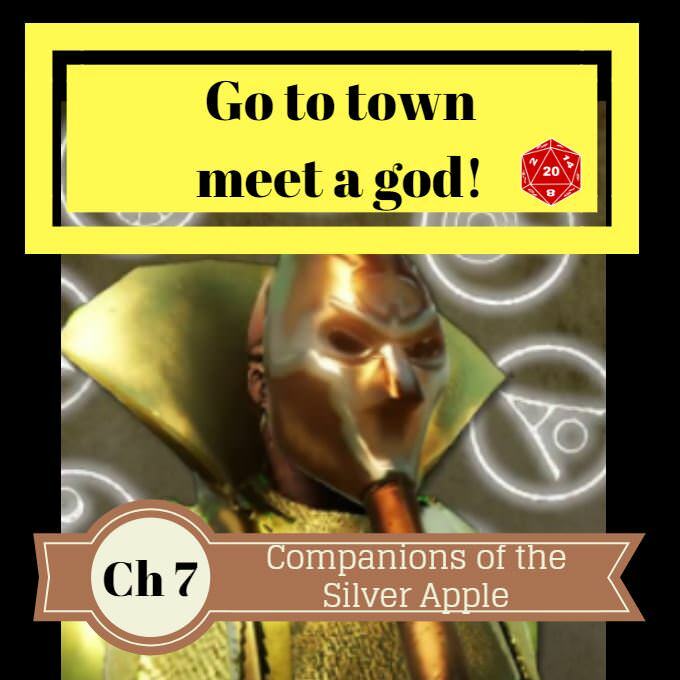 "I am Anorak, we are the companions of the Silver Apple we are searching for our patron Gunderen Rockseeker, now I must ask, Who are you?" "Gunderen, Aye unfortunately it was my job to protect him on our journey, but these goblins ambushed us and we were taken captive. 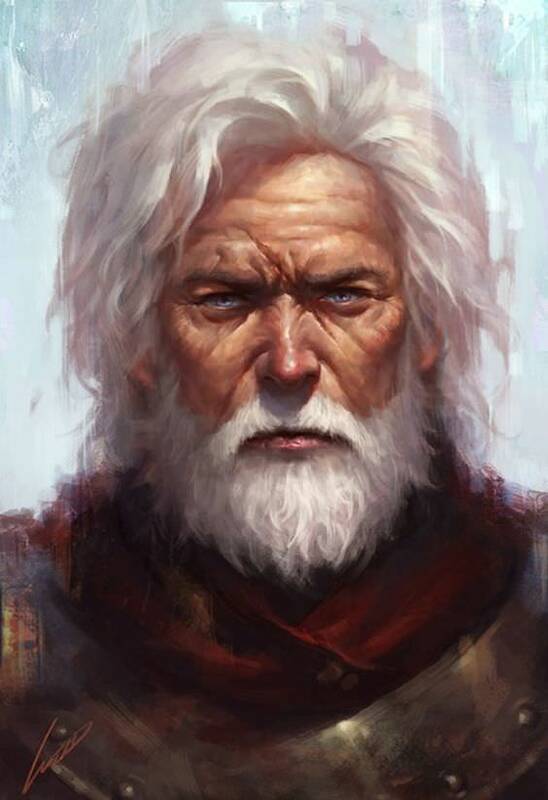 My name is Sildar Hallwinter and I am grateful for your aid. I apologize that I was not able to ward off the goblins. From what I can gather someone tipped them off. "Is Gunderen here" Asked Percy. 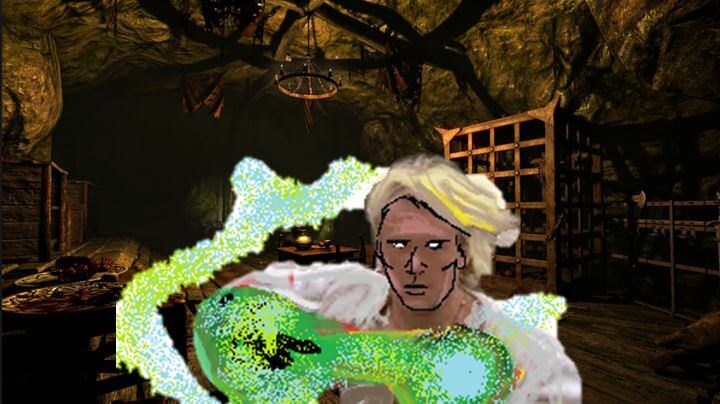 "No Gunderen is not here, they hauled him off and his map to some place called Cragmaw Castle." There was a loud roar in the cavern. The party turned. "That is the bugbear, who leads this group they call him Klarg. I think we should continue our discussion elsewhere." Percy sighed, he really wanted to battle the Bugbear. However, he relented and the group piled up some supplies they found and headed out of the cavern. They put Sildar into their wagon and headed again toward Phandalin. They made it to the small town without further issue. "We must find Gunderen", Sildar said, "I will help you however I can. I do have some sources in town that might be useful." As they entered the town Sildar departed said he would run ahead toward the Stonehill Inn to gather information.